Have you been denied an apartment, a loan, insurance coverage or a job, due to a low credit score? We’ve got a helpline for that. Connect with credit experts. Call for a free consultation to learn about your options to raise that score. Did you know that the majority of credit files contain errors and inaccurate information? When so many aspects of our lives are dependent on a good credit score, it makes sense to do what you can to raise it. Whether you are trying to rent an apartment, buy a home, get a job, or get a loan, people are evaluating your trustworthiness by using an objective score. For years, CareConnect USA has published the Credit Score Improvement Helpline. 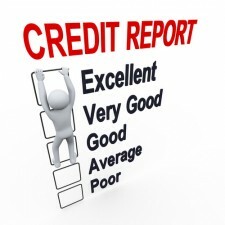 Call today and see what can be done to improve your credit score. In just months, you could be sitting pretty with a much higher score than today. Not only does good credit open more doors for you, but the cost of your loans will be reduced. Over a lifetime, a healthy credit score, will save you thousands. Show your creditors that you are trustworthy on paper. Show them a good credit score, so they can justify giving you a great loan at a low rate. Our service providers consist of law firms which act within consumer laws to remove negative entries which are harming your credit score. Consumers have seen impressive results, with an average of over 10 items, or 24% of their negative entries, removed from their credit reports within 4 months.